The controversies surrounding the Justice Department and FBI won’t end with the firing of veteran agent Peter Strzok, known for his bombastic text messages targeting Donald Trump during the presidential campaign and the Hillary Clinton email scandal. Trump weighed in Monday on Twitter, noting Strzok was one of those on “a list of bad players” in the FBI and larger Justice Department. FBI Director Chris Wray should take additional actions, said Hans von Spakovsky, a former Justice Department lawyer who is a senior legal fellow at The Heritage Foundation. “It’s great that Strzok was finally fired, but what we need to see is Chris Wray take action to ensure this doesn’t happen again,” von Spakovsky told The Daily Signal. Here’s a look at four major unanswered questions. 1. Will Trump Get Involved? More transparency surrounding documents on how the investigation of Russian election meddling began, a former British spy’s salacious “dossier” on Trump, and the role of certain Justice Department officials would be welcome, said Pete Flaherty, president of the National Legal and Policy Center, a conservative government watchdog group. 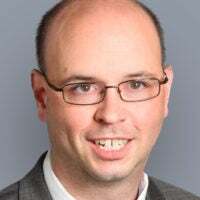 Nudging the Justice Department toward being more transparent to Congress and to the public through the Freedom of Information Act is within the president’s authority, von Spakovsky said. 2. Will We Get Details of Lisa Page’s Testimony? Former FBI lawyer Lisa Page, with whom Strzok reportedly was having an extramarital affair, last month testified to the House Oversight and Government Reform Committee behind closed doors. Rep. Mark Meadows, R-N.C., called Page a “credible” witness who was cooperative. He indicated that lawmakers learned from her testimony—but didn’t provide details about what. 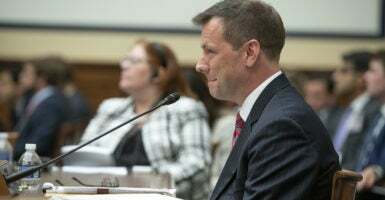 Strzok at first resisted testifying to the committee, but agreed upon the threat of being found in contempt of Congress. Rep. Matt Gaetz, R-Fla., praised Page for transparency and said she was not “smug,” as Strzok was during her testimony. Page resigned from the FBI in May. 3. Is There More to the Steele Dossier? Earlier this month, the FBI released records to Judicial Watch, a conservative government watchdog group, about Christopher Steele, the author of a sensational anti-Trump “dossier” during the 2016 election. Steele, a former British spy, worked with the FBI and, indirectly, with the Hillary Clinton presidential campaign. Judicial Watch obtained the records through a Freedom of Information Act lawsuit. However, much of the material in the 71 pages was redacted. The documents were not clear whether, or how much, the FBI paid Steele for being a confidential source. The redacted documents include payment requests and receipts submitted since Jan. 1, 2016. It isn’t clear, however, whether any of this was related to special counsel Robert Mueller’s probe of possible connections between the Trump campaign and Russian officials. 4. What Will Bruce Ohr’s Testimony Reveal? The Weekly Standard reported that after the FBI terminated Steele as a source, he continued to provide information to the Justice Department through a senior department official, Bruce Ohr. Ohr is married to Nellie Ohr, who worked at Fusion GPS, the company that paid for the Steele dossier on Trump while working for the Clinton campaign. Ohr, then an associate deputy attorney general, reportedly interjected himself into the investigation and spoke to the FBI and Steele multiple times. He was demoted to director of the Organized Crime Task Force. The House Oversight and Government Reform Committee and the House Judiciary Committee are scheduled to interview Bruce Ohr in a joint session Aug. 28. “It looks as though Bruce Ohr used his position as a top Justice Department official to advance his wife’s business and the Clinton campaign through his official position in law enforcement,” von Spakovsky said.